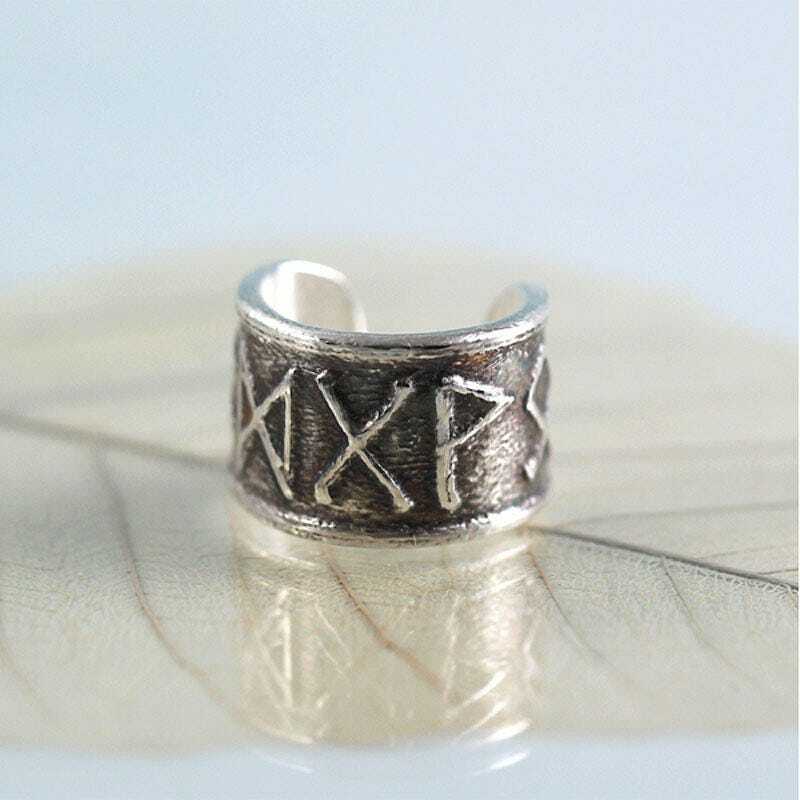 Choose your own 5 runes on this little wrap cuff in fine silver. 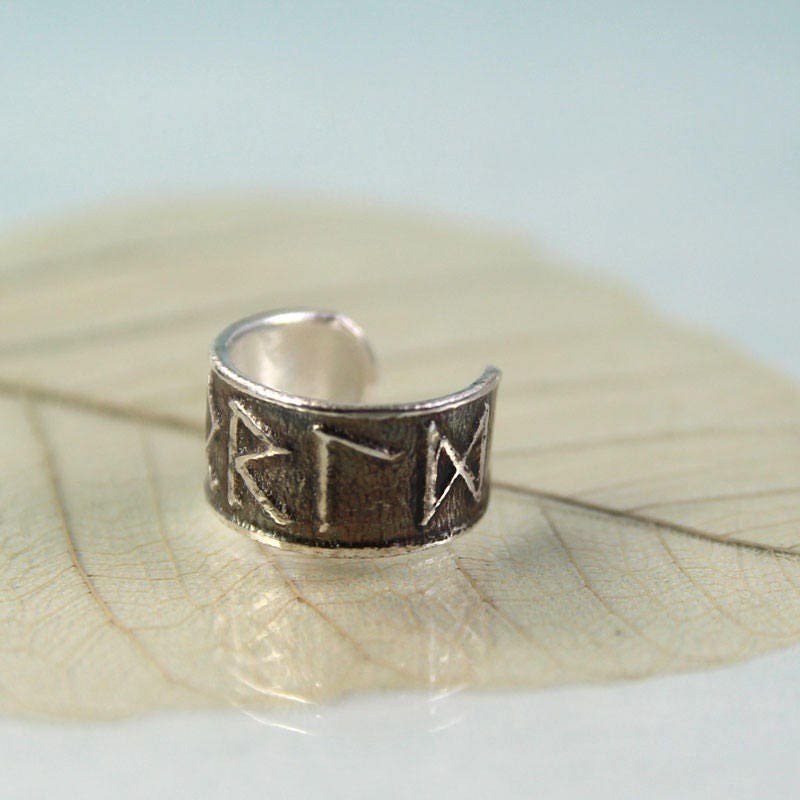 You can select 5 Viking runes for luck or a personal specific meaning. 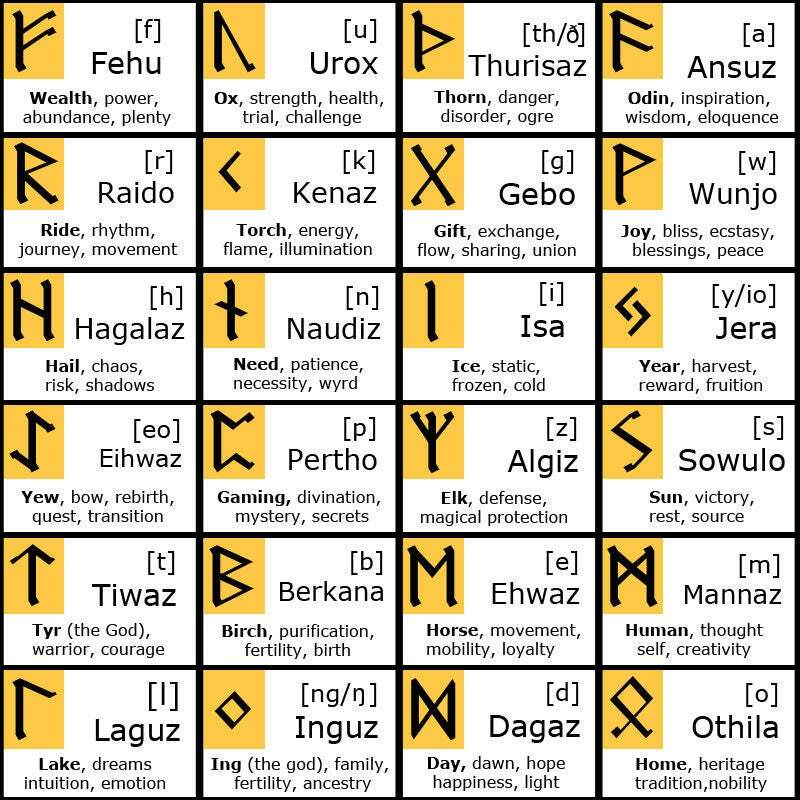 Have a look at the last image to see the Elder Futhark alphabet and what the runes traditionally stand for. 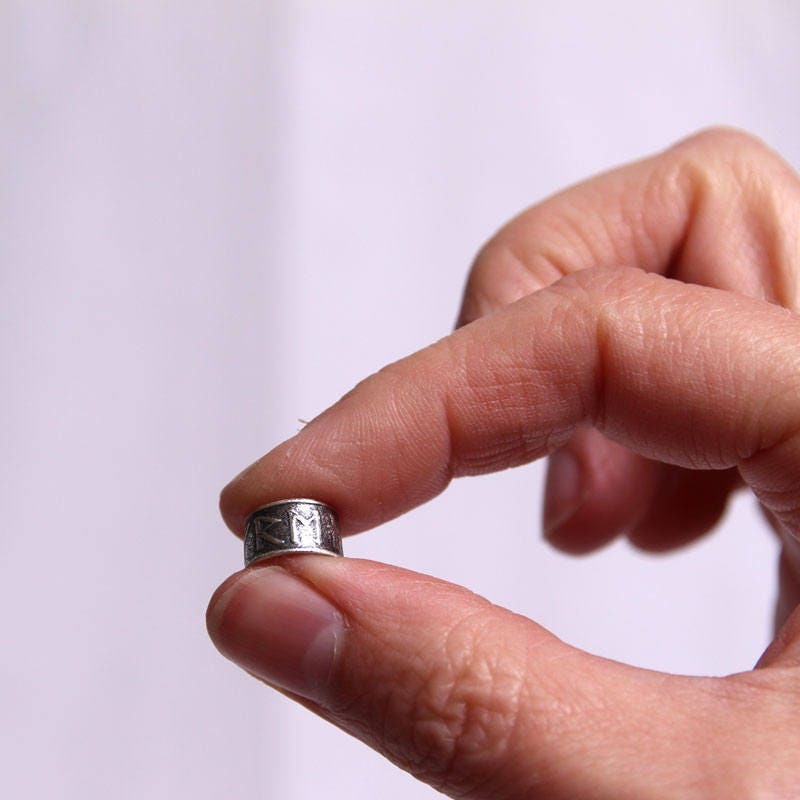 Or you can spell a word or name - Let me know in the note to seller and I will send you a preview before I make the bead. 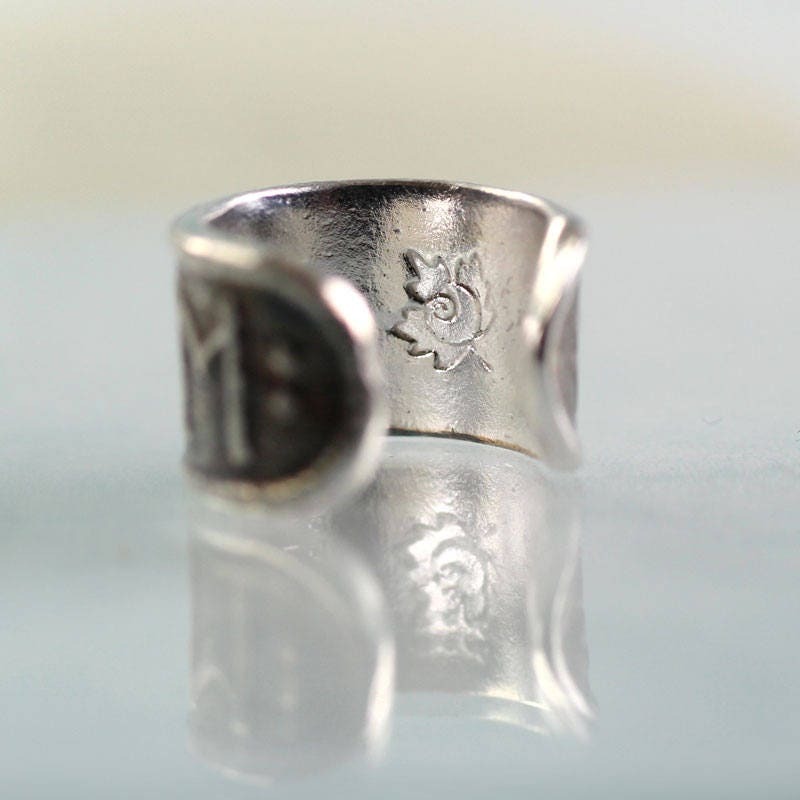 If you want the cuff to be bright silver instead of dark patina - like in the last 2 pictures, just let me know. 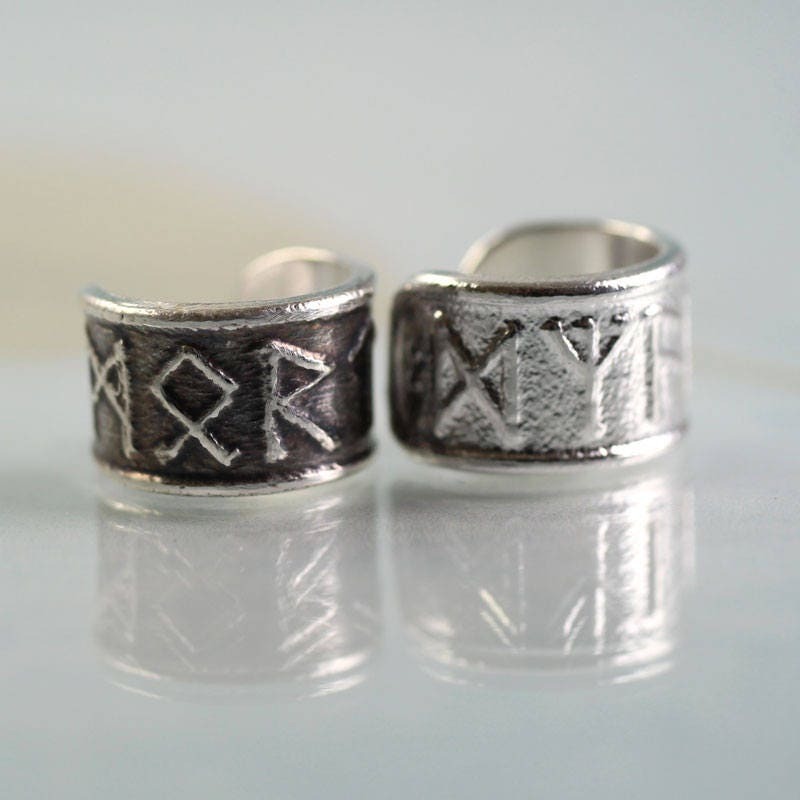 I also make custom rune rings and tube beads - beard beads. I bought this as a present for my wife and she loves it. 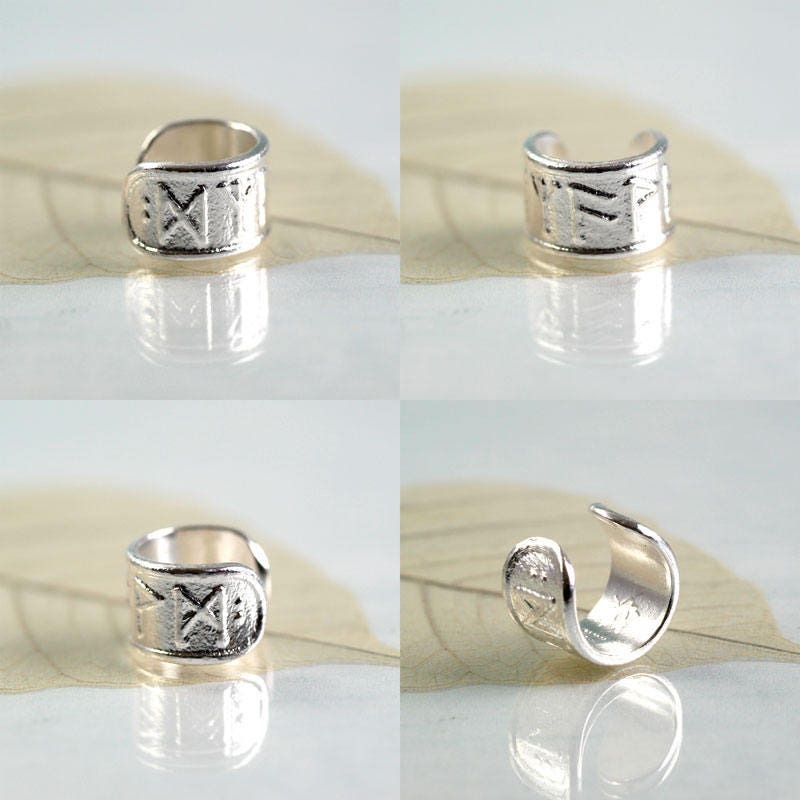 Great design and quality. 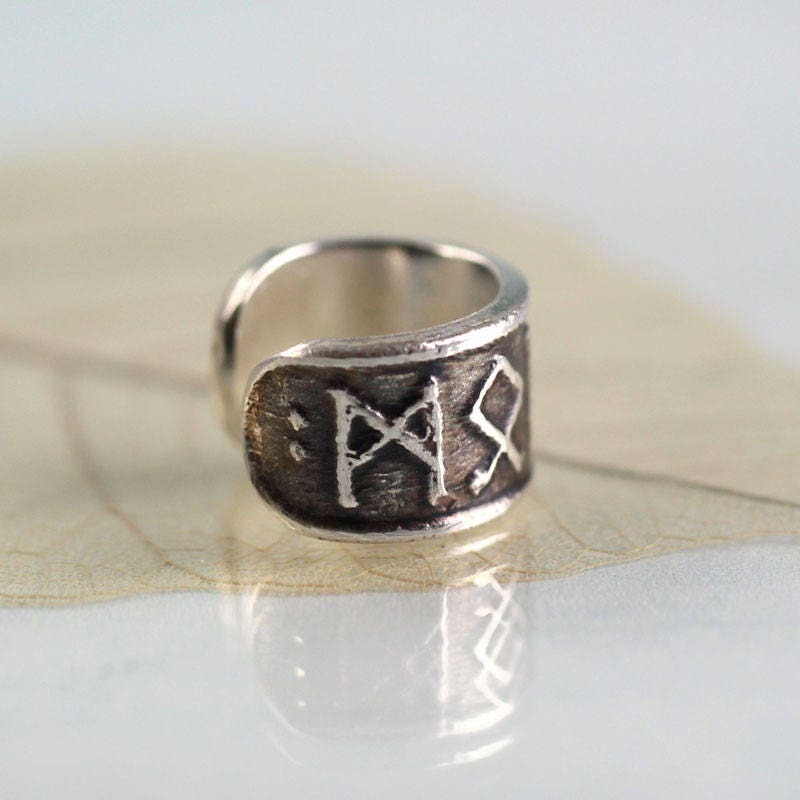 The supplier checked the Runes I had chosen before producing and the item was diispached the day after order. Great service. 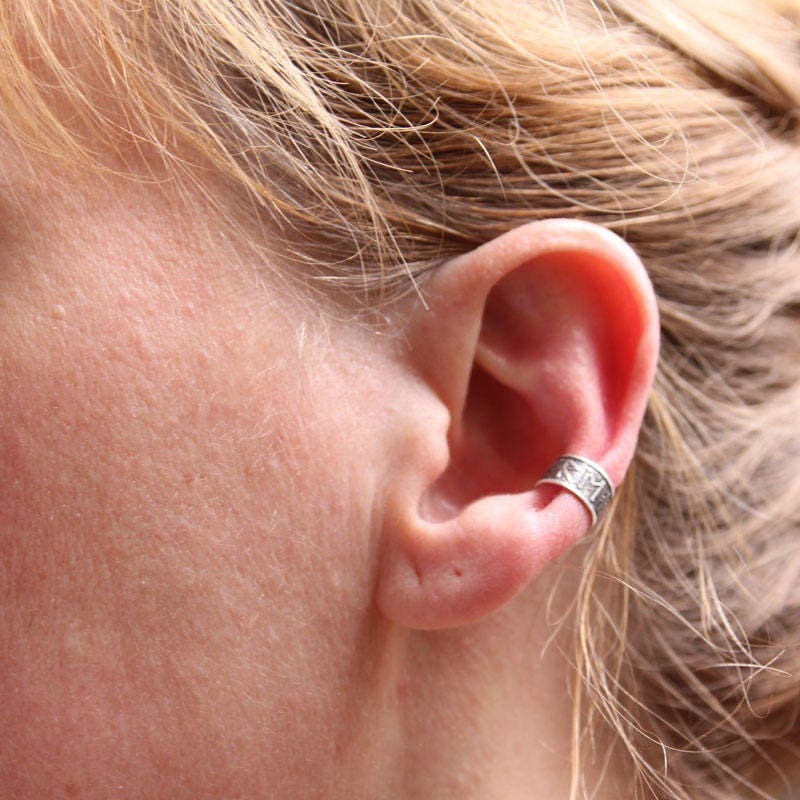 I love my ear cuff. 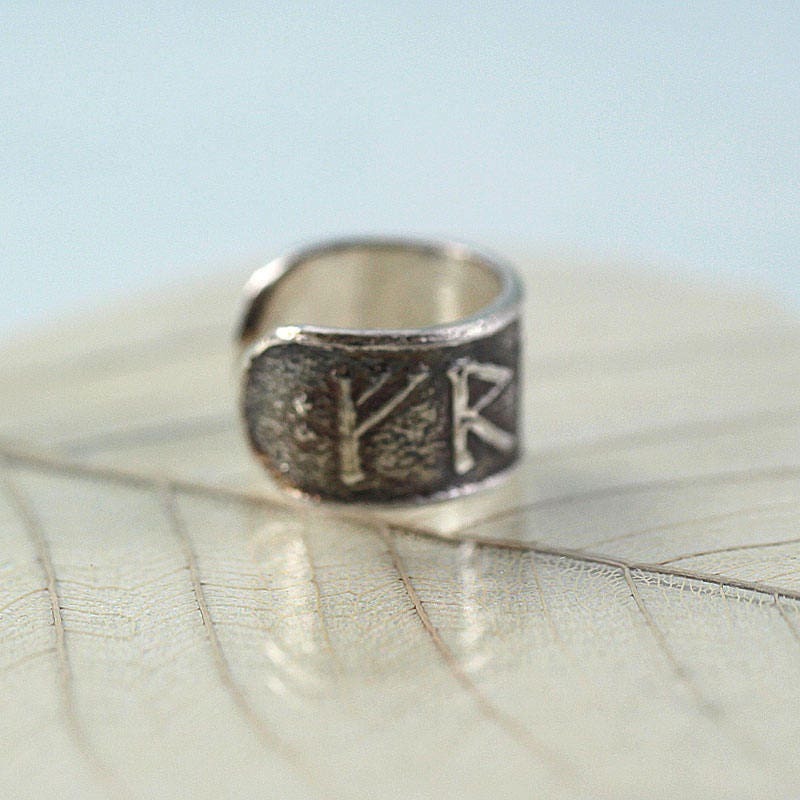 It's beautiful and the runes are really clear. It arrived much faster than I had expected and communication was great. I will definitely be coming back for more! Thanks so much for being so great and making great things.